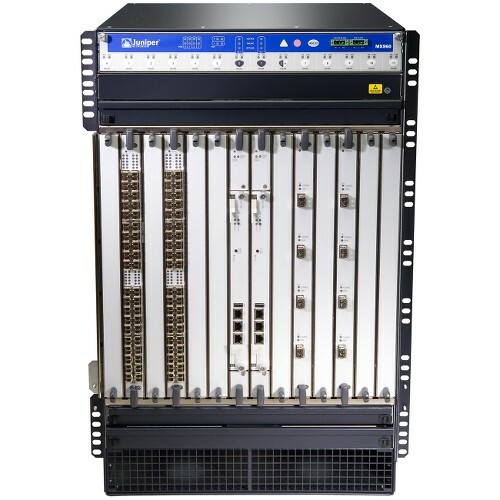 Pre-owned Juniper MX Series 3D universal edge routers are available in more than a dozen models and are designed to operate in almost any networking environment. 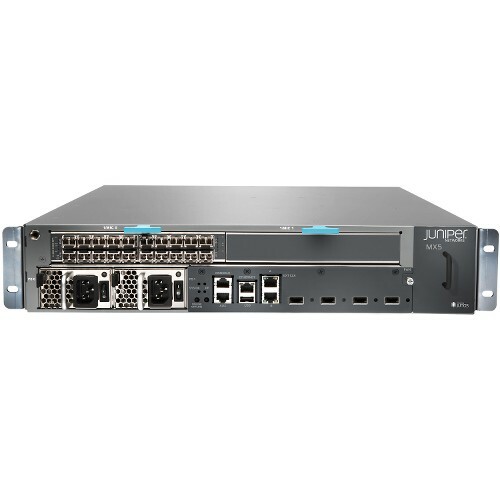 Whether you’re looking for enterprise, data center or service provider solutions, BrightStar Systems can supply you with high-quality used Juniper MX Series routers that fit your needs. As a non-affiliated independent dealer, we stock and resell used surplus Juniper MX Series routers, in addition to other pre-owned Juniper router series that include some end-of-life products that are no longer available for direct purchasing. Read on to find out more about our wide selection of used Juniper MX Series routers and how the series separates itself from other spare Juniper router series. MX5: This model is 2 RU (rack units), and it supports 10G Ethernet. It has a fixed-port configuration, and it includes one Modular Interface Card (MIC) slot. MX10: This model is 2 RU, and it supports 10G Ethernet. It has a fixed-port configuration, and it includes two MIC slots. MX80: This model is 2 RU, and it support 10G Ethernet. It has a fixed-port configuration, and it includes two MIC slots and two 10G Ethernet ports. MX104: This model is is 3.5 RU, and it supports 10G Ethernet. It is a fixed-configuration router that includes four MIC slots and four 10G Ethernet ports. 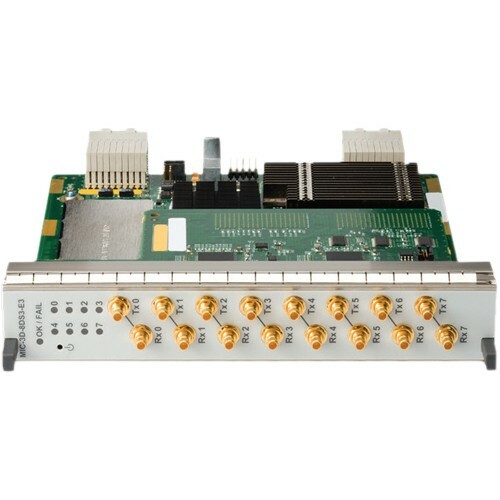 MX240: This model is 5 RU, and it supports 100G Ethernet. 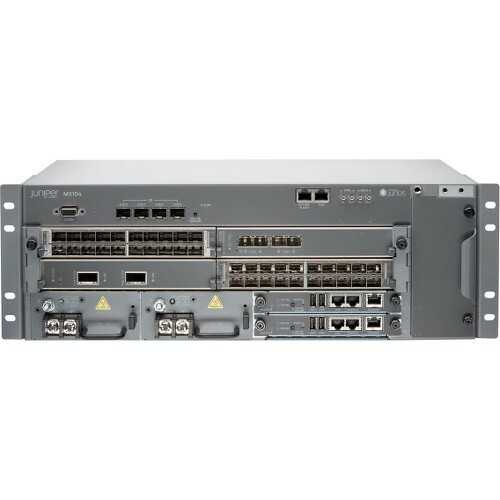 It is designed as a modular chassis that includes two Modular Port Concentrators (MPC), which have multiple MIC slots. MX480: This model is 8 RU, and it supports 100G Ethernet. It is designed as a modular chassis that includes six Modular Port Concentrators (MPC), which have multiple MIC slots. MX960: This model is 16 RU, and it supports 100G Ethernet. It is designed as a modular chassis that includes 11 Modular Port Concentrators (MPC), which have multiple MIC slots. 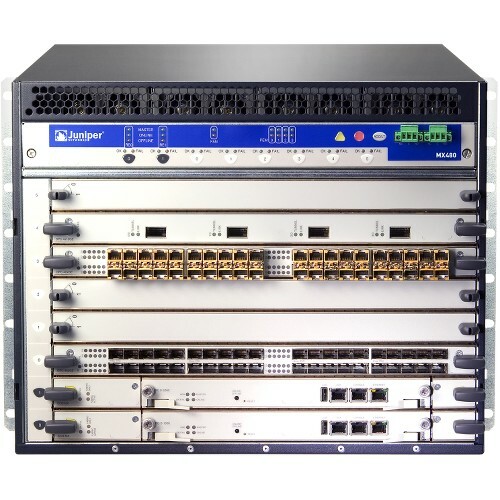 In addition to those models, we stock other spare Juniper MX Series routers, including the MX40, the MX150, the MX204, the MX2008, the MX2010, the MX2020 and the MX10003. 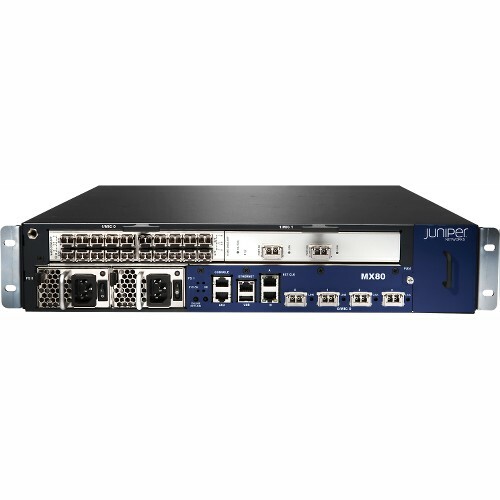 The MX Series is the most diverse and comprehensive line of pre-owned Juniper edge routers. In terms of the number of different hardware models, the MX Series includes 14 models compared with only 4 and 6 models in the J Series and M Series, respectfully. Used Juniper MX Series routers – particularly the bigger MX Series models – also are available in more sizes and offer more port configurations than J Series and M Series routers, which allows greater flexibility and scalability. The largest model of the J Series and M Series is only 20 RU compared with the biggest MX Series router, the MX2020, which requires at least 45 RU to mount. And, whereas J Series and M Series routers support up to only 10G Ethernet, several pre-owned Juniper MX Series routers support Ethernet speeds of up to 100G. Another benefit of purchasing spare Juniper MX Series routers is that you’re getting the latest hardware available. That means you get to use the most up-to-date features and you’ll get more life out of the routers. Not only that, but tracking down specific parts and upgrading hardware are made easier because parts for newer machines are in greater supply. 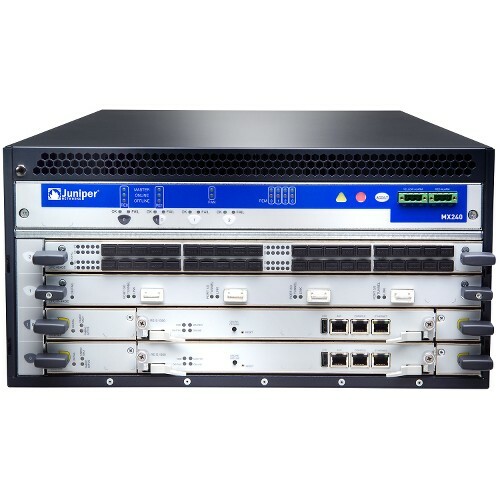 At BrightStar Systems, we want to be sure you receive our high-performing used surplus Juniper MX Series routers in great condition, but we also want to be sure you have access to proper resources to help you make the best purchase possible. That’s why we’ve put together pre-owned Juniper MX Series datasheets and MX Series PDFs for you to review. In our datasheets, you’ll find in-depth specifications, as well as used Juniper MX Series price lists on each model, which can be used to determine which Juniper routers will work best for you. Detailed datasheets are the best way to compare pre-owned Juniper MX Series routers in order to make sure the networking hardware you purchase is right for the job. For more information on our pre-owned Juniper MX Series routers and to find out which models we have in stock, contact one of our sales representatives today.